Born: 1896, St. John’s, Ipswich. Died: 8th May 1919; age 23, at Ipswich. Residence: 39, Pearce Road, Ipswich. Occupation: Apprenticeship – Turner & Fitter – Ransome Sims & Jefferies – September 1916. Enlistment Details: Location: Ipswich; Date: 9th January 1913; Age: 17 years & 3 months. Height: 5ft 5 1/2ins, dark complexion, blue eyes & dark hair. Home: 29th September 1916 – 17th November 1916. Discharged – Medically Unfit – Rheumatic Fever – 17th November 1916. Originated 16th July 1916 – at Suez – Rheumatism – chiefly in the thigh. Pain in back in lumbar region. Result of active service – hardship & exposure. Permanent – Total Incapacity. 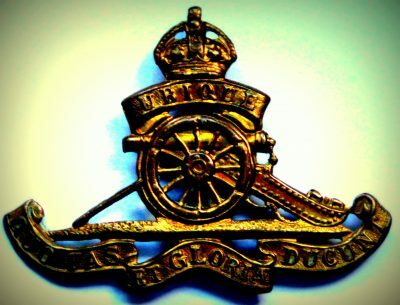 Regiment: Royal Field Artillery, 3rd East Anglian Artillery Brigade. Relatives Notified & Address: Son of Mr. Bush, of 39, Pearce Road, Ipswich. 1901 58, Pearce Road, Ipswich. Ronald was 5 years old and living with his parents & brother. Henry James Bush, 39, a Timber Carter, born Ardleigh, Essex. Fanny Bush (nee Whiting), 39, born Ipswich. Herbert James Bush, 2, born Ipswich. 1911 39, Pearce Road, Ipswich. Ronald was 15 years old, a Brass Turner – Engineering Works. He was living with his parents & maternal grandmother. Henry, 47, a Carter – Timber Trade. Mary Whiting, 75, a widow, born Capel St. Mary, Suffolk. Royal Field Artillery, 3rd East Anglian Artillery Brigade.